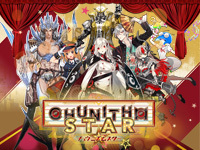 The new version of the popular musical game from Sega is out in Japan today: CHUNITHM STAR. Many popular artists and illustrators participate to this version and original songs and characters will appear regularly. New songs from anime such as Kemono Friends, The melancholy of Haruhi Suzumiya are available. There are also Touhou Project, niconico and original songs. A new function "CHUNITHM quest" is added: you can acquire item by obtaining a determined rank. The "Course mode" (play three consecutive songs) is also upgraded: you win "class emblem" according to the CLASS obtained. Collaborations with the movie Your Name and the anime Re:Zero –Starting Life in Another World– and Bakemonogatari start today and will end on September 20. Players can win characters name plate. Another collaboration also starts today with the Keikyu Electric Railway company. To celebrate te collaboration, a song has been recorded: "Kattobi KEIKYU Rider" and if you play the song in all difficulties, you can unlock the character "Kyoto Electric Railway Airport Express To Haneda Airport". 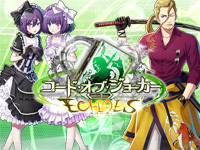 The new version (2.2) of Code of Joker hits in Japan today and its named Code of Joker ECHOES. This large update brings two new characters: the twin sisters Elvy & Elfi (CV: Yuki Aoi), their Joker is The-Lovers and Leon Bergman (CV: Takehito Koyasu), his Joker is The-Tower. Sega also adds 60 new cards. You can watch Code of Joker ECHOES trailer here. 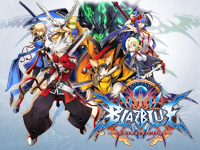 Arc System Works releases BlazBlue CentralFiction Ver.2.0 in Japan today. A long awaited character joins the line-up for the first time in the series: the legendary feline swordsman Jubei. He's one of the Six Heroes and Konoe’s husband and Kokonoe’s father. The overall battle balance changes for the first time since the game started operation in 2015. Thanks to the NESiCAxLive 2 online playing content download system, battle between players in different stores are now available. BlazBlue CentralFiction Ver.2.0 opening movie is available here and Jubei trailer here. During the Fate/Grand Order Fes. 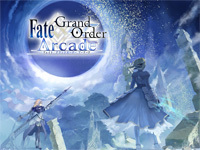 2017 ~ 2nd Anniversary ~ held at Makuhari Messe this week-end, Type Moon announced that the arcade game Fate/Grand Order Arcade is being developed by Delightworks and Sega Interactive. The game will be a "Summoning team battle" and the servants of the mobile game Fate/Grand Order will be 3D graphicized. The Saint Graphs (cards used to level up the servants in the original game) will be available as physical cards and it will possible to collect them. The Saint Graphs will be designed by various artists. A location test will be held this Winter and the game should be out in 2018. Fate/Grand Order Arcade trailer is available here. 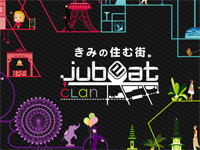 Announced by Konami in May, jubeat clan is out in Japan today. It's the 8th instalment in the series since its debut in 2008 (without the APPEND versions). The game theme is the cities and it brings an interesting feature. There are 4 cities: Redbelk, Greenesia, Cyanttle and Plumpark. After playing two songs, the player becomes a resident of one of them (the city is chosen randomly) and he gets a passport from his new city. The game design and animations change according to the player's city. The songs difficulty has changed compared to jubeat Qubell and the changes are based on past players data. Players can now see more details for each song and filter songs. There are 2 shops in jubeat clan: the clan records to unlock new songs and the jubeat shop to unlock old songs. Sega surprises everybody with the announcement of the location test of a new racing game from July 28 to 30! 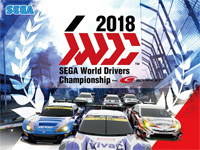 The game is SEGA World Drivers Championship, it is an officially licensed Super GT arcade game featuring 45 cars from both GT300 and GT500 classes. The location test version features 3 GT300 cars (Toyota 86, Toyota Prius and Subaru BRZ) and 3 GT500 cars (Lexus, Nissan and Honda). The full version will feature JAF-GT300 and FIA-GT 3 cars in the GT300 class (Japanese and international cars) and 15 teams in GT500 (Japanese cars only). SEGA World Drivers Championship uses the same cabinet as Initial D Arcade Stage Zero with a AIME card reader and a 6-speed speed shifter. Only the steering wheel and the topper are different. Sega also announced that up to 10 players can play simultaneously. 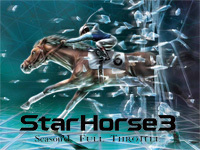 Sega starts the operation of Star Horse 3 Season VI FULL THROTTLE in Japan today. This is already the 6th episode of the popular horse racing medal game. As usual, Sega adds new functions to renew the players' interest. First, a new nationwide contest "I-PREMIER CUP" appears. In this cup, the strategy is very important and for the first time in the series, the player performance is rated. There is also a new race "WBC ICE" that takes place on the ice, a new "cash back" card allowing to get all the medals bet on a betting ticket and the Lucky Card Challenge is completely renewed. 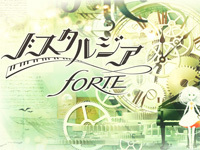 Konami releases an update of Nostagia today: Nostalgia FORTE. This update adds new functions and songs. Beginners can now play a song with only the right or left hand. It's now possible to play with friends in the same store with the "In-store matching" function: players can make "ensemble combo" to get bonus or play together, one with the right hand and one with the left. And finally, players can test their skills with the new "Grade System". New songs of various genre are also available. 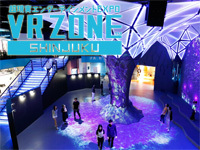 The VR ZONE SHINJUKU facility opens its doors today! It's the second VR Zone facility that Bandai Namco opens after limited-time location opened in Odaiba in 2016. This new one is built on the former site of the Shinjuku Tokyu Milano Building (cinema and bowling complex). Visitors can enjoy 16 different games including 3 new licensed attractions. 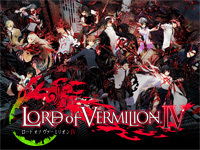 These are: Evangelion VR The Throne of Souls: 3 players can choose an EVA, take place in a pilot seat and fight together the 10th Angel attacking Tokyo-3. Dragon Ball VR: make Kamehameha as Dragon Ball characters. Up to 4 players can compete. The aim is to defeat the more players in a limited time. A defeated player revives after a certain period of time or by eating a "Senjo" that can be purchased at a shop on the 1st floor of the facility. Mario Kart Arcade GP VR: play Mario Kart in 360° and enjoy the race. Each item is hung by a balloon floating on the course, players only need to stretch their hand to catch it. 4 players can join the race. There are also 3 other new attractions: Fishing VR GIJIESTA: experience the realistic feeling of struggling with a wild fish. Players can use Pac-Man lures. 2 players can play together. Hanechari (Winged Bicycle): pedal with your legs and experience the thrill and exhilaration of free-flight through magnificent natural scenery on a winged bicycle. 4 players can play together. Dinosaur Survival Run Jungle of Despair: a plane has crash-landed in a forbidden jungle where dinosaurs are said to be still alive. You have been sent to make your way through the darkness and search for survivors while riding on a standing scooter. 4 players can join the adventure. A 7th attraction will be installed in August: Ghost in the Shell: Arise Stealth Hounds. Some of the Odaiba activities are still present: Gundam VR Daiba Assault (experience the impact of the life-sized mobile suit in battle), VR-AT Simulator Armored Trooper Votoms Battling Dudes (experience a real one-on-one battle), Steep Downhill Ski Simulator Ski Rodeo (ski down the sharp slopes of the vast snowy mountain), Extreme Courage Test Machine Fear of Heights: The Show (test your courage at 200 meters above the ground), Immersive Horror Room Hospital Escape Omega (escape from a cursed abandoned hospital) and Interactive Cinematic VR Attraction Argyle Shift (enter the cockpit of a giant robot with your android). And finally, 3 activities that do not use VR goggles are also present: Huge balloon explosion room Panic Cube, Virtual Resort Activity Trap Climbing and Virtual Resort Activity Niagara Drop. All activities are divided in 4 categories (depending on their style) represented by colors. Bandai Namco offers different fee solutions: a bundle of 1 admission + 4 color tickets for 4400Yen, 1 adult admission ticket for 800Yen, 1 children (under 13) admission ticket for 500Yen, VR activity day ticket for 1200 Yen. Various attraction can be reserved online.